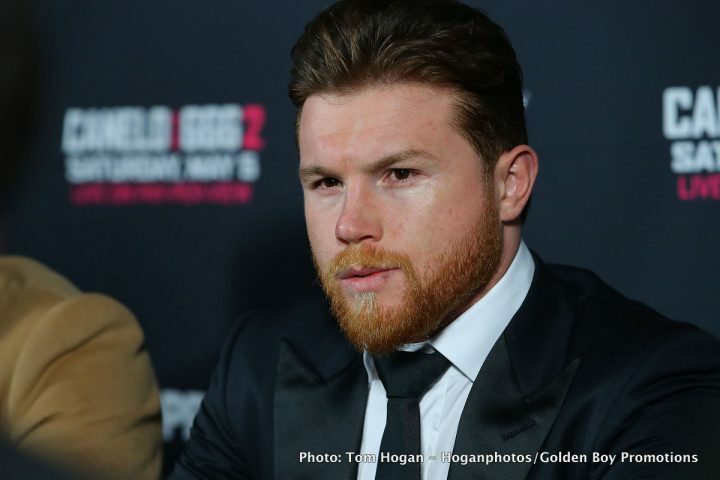 By Dan Ambrose: Two months after Saul Canelo Alvarez was given a 6-month suspension by the Nevada State Athletic Comission after testing positive for the banned substance clenbuterol, Ring Magazine has stripped him of his middleweight title with their organization. Canelo has not only been remove as The Ring middleweight champion, but he’s not even rated in the top 10 at all, period. No explanation was given by the Ring website for their rationale for removing the 27-year-old Canelo from his position as their Ring middleweight champion, but it’s a move that is long overdue. It’s unclear whether The Ring will wait until the No.1 and No.1 ranked fighters Golovkin and Daniel Jacobs fight each other before they pick out a new Ring middleweight champion. It could be a while yet before Golovkin and Jacobs fight each other again. Golovkin already beat Jacobs last year. th round knockout to win his WBO title. Next, Canelo moved up to super middleweight and defeated Julio Cesar Chavez Jr. by a 12 round unanimous decision in a catchweight fight at 164.5 pounds in May of 2017. Canelo failed to defend his Ring middleweight for 1 ½ years until facing Golovkin in September of last year. A lot of boxing fans wondered why Canelo wasn’t stripped of his Ring title because he wasn’t fighting at middleweight for almost 2 years. Being the Ring middleweight champion loses its meaning if a fighter fails to fight in the 160lb division like Canelo. It’s unclear why The Ring kept Canelo as their middleweight champion all this time. Some boxing fans believe that Canelo was shown preferential treatment by The Ring due to the magazine being owned by Oscar De La Hoya of Golden Boy Promotions, who promote the red-headed superstar.